We offer a full furniture and kitchen restoration service, bringing your old furniture back to its former glory. In recent times we have noticed demand for our kitchen restoration services has increased dramatically. 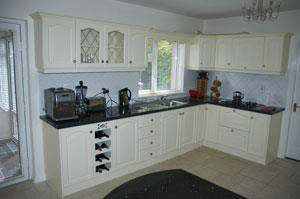 We can give your kitchen a whole new look and feel, without you having to splash out on costly new units and doors. Have a browse through our gallery to see just what we are capable of when it comes to bringing old worn kitchens and furniture back to life!